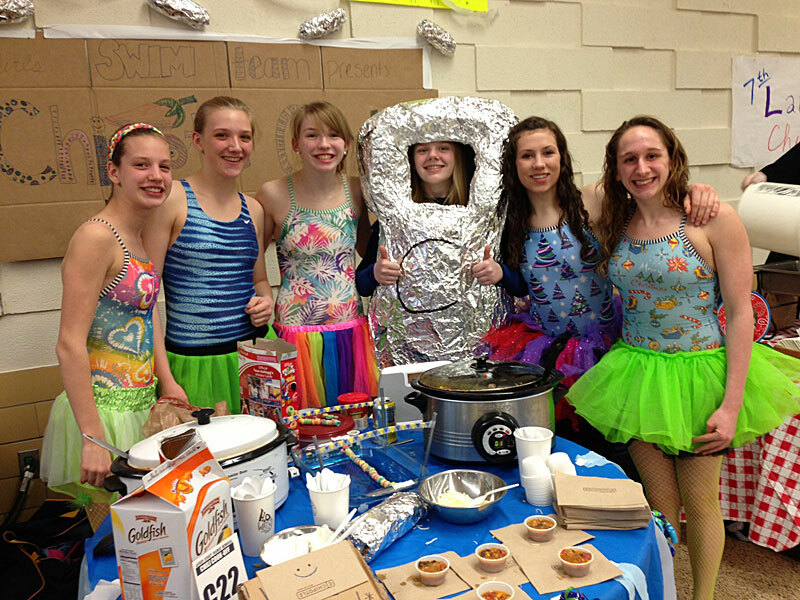 Members of the Copley’s Girls’ Swim Team concocted a hot chipotle chili – so hot they all came in their swim suits. The chef-swimmers are (L to R) Sydney Bailey, Hannah Blice, Mary Jo Talley, Laura Klions, Anna Signorino, and Brenda Prifti. They came with secret spices, old family recipes, Food Network-inspired twists and super deluxe Crock Pots. The competitors at the 7th annual Lauren Audrey Braman Memorial Chili Cook-Off and Dessert Bake-Off came to Copley High School on March 23 with high hopes of victory, but also good intentions as the event raises funds for Akron Children’s Hospital. The event began in 2007 by members of Copley High School’s National Honor Society in memory of Lauren, who died in July 2006 from a rare and aggressive form of leukemia. Lauren was just three months past her 16th birthday and, though her years were short, she left a lasting legacy for those who knew her. Born with spina bifida and confined to a wheelchair, Lauren didn’t let much stop her. She was a member of the Copley High School Marching Band, Key Club, and National Honor Society. A member of a wheelchair dance troupe and active in her church’s youth group, she was a friend to all her knew her. The chili cook-off remains a labor of love for Lauren’s parents, Cristine and Ken, and her siblings, Kory and Kelsey, who are both students at Copley High. Awards went to the judge’s vote and popular vote for the best chili and dessert, the best display, and the best student entries. This year’s event raised $3,500, which will be used to support programs and services benefiting teens with cancer.